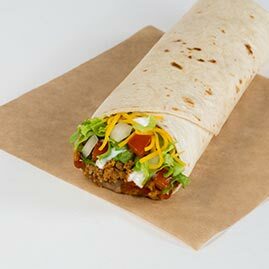 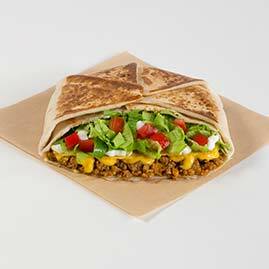 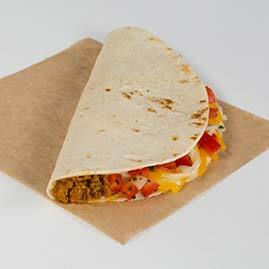 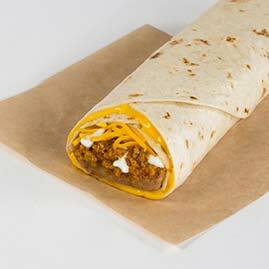 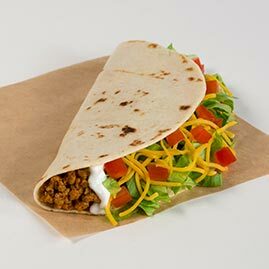 Soft flour tortilla, seasoned beef, lettuce, tomatoes, sour cream and cheese. 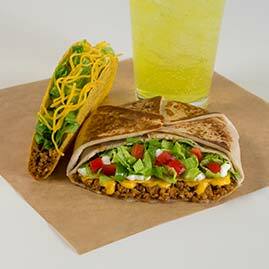 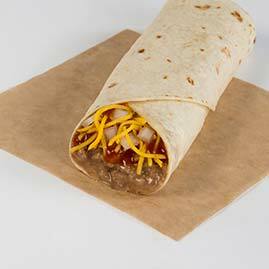 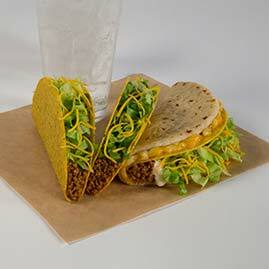 Soft flour tortilla, seasoned beef, lettuce and cheese. 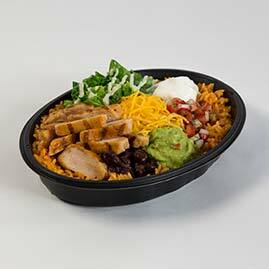 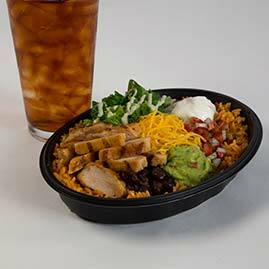 Premium meat, guacamole, pico de gallo, slow-simmered black beans, crisp romaine lettuce, and Latin rice, packed into an seriously powerful bowl. 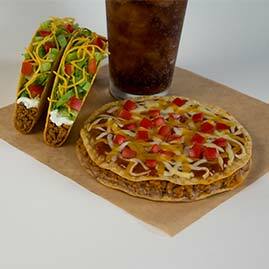 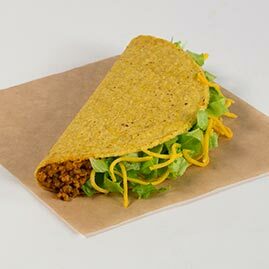 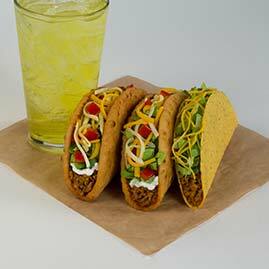 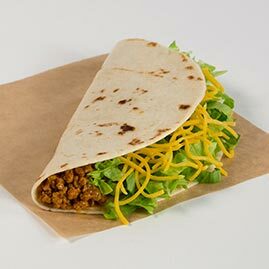 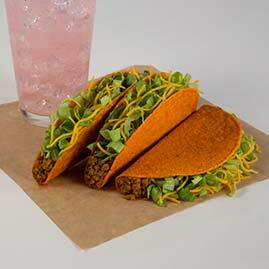 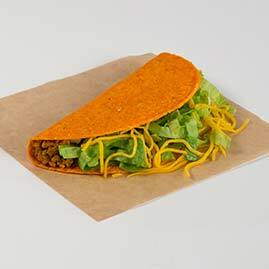 Crunchy corn tortilla, seasoned beef, lettuce and cheese. 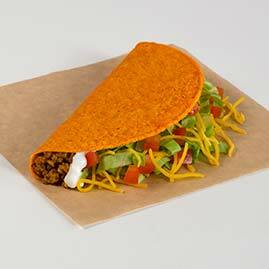 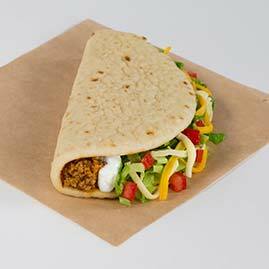 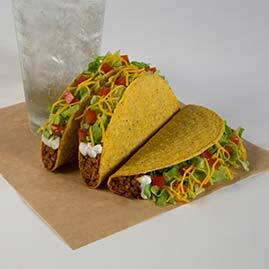 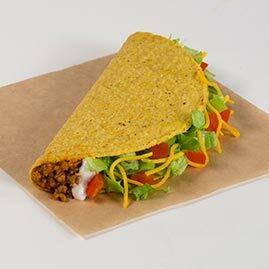 Crunchy corn tortilla, seasoned beef, lettuce, tomatoes, sour cream and cheese. 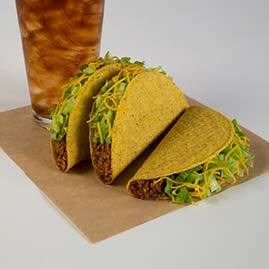 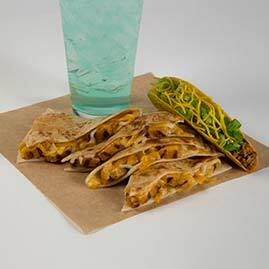 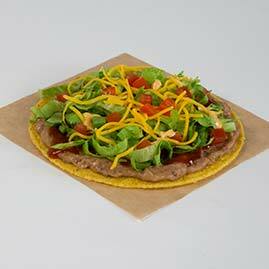 Crunchy corn tortilla, seasoned beef, lettuce, cheese & beans. 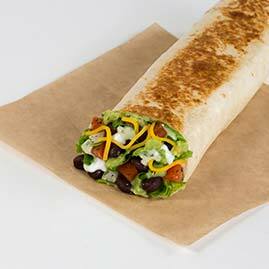 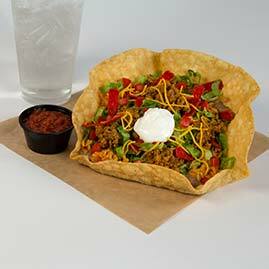 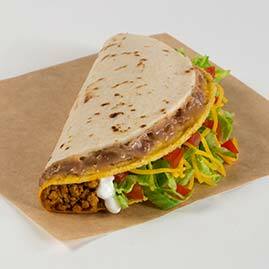 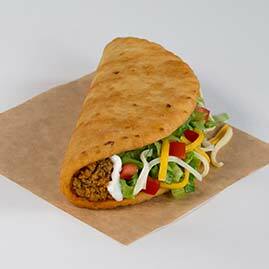 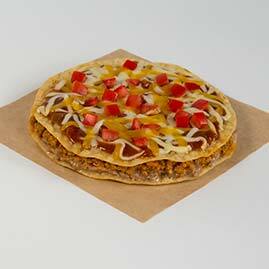 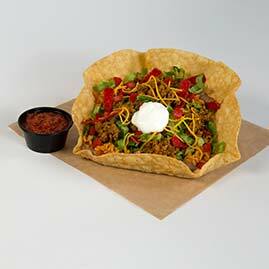 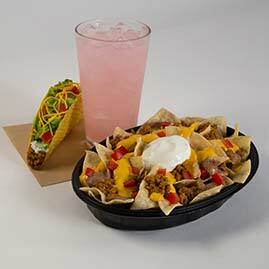 Crunchy corn tortilla, seasoned beef, lettuce, tomatoes, sour cream, cheese & beans. 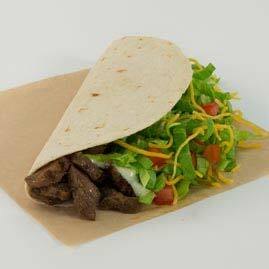 Soft flour tortilla, steak, avocado ranch sauce, lettuce and cheese. 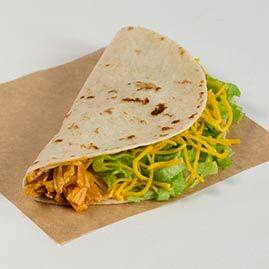 Soft flour tortilla, shredded chicken, lettuce and cheese. 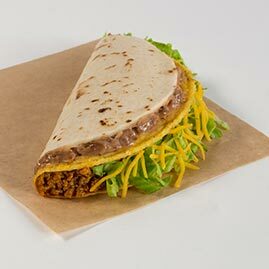 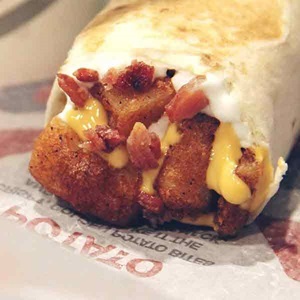 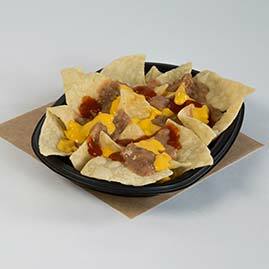 We start with a quesadilla, and then treat that quesadilla like a burrito, full of seasoned beef, creamy chipotle sauce, reduced fat sour cream, nacho cheese sauce, and Latin rice. 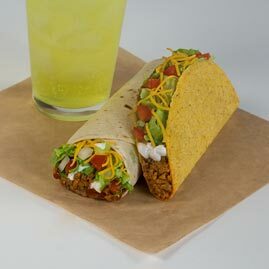 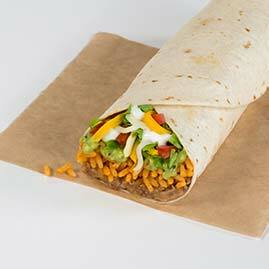 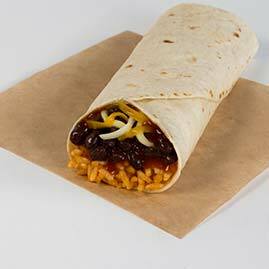 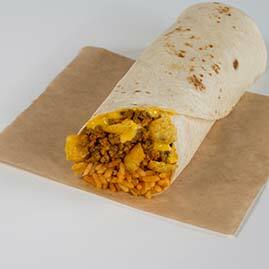 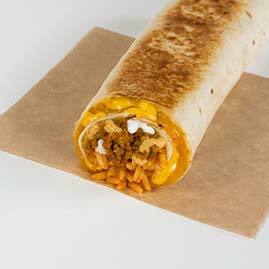 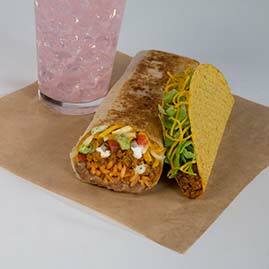 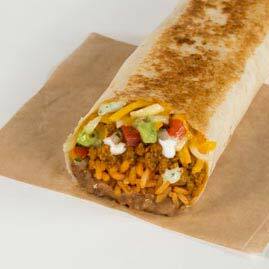 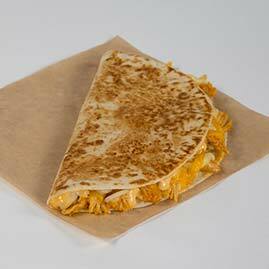 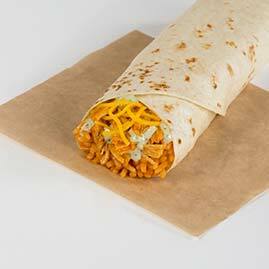 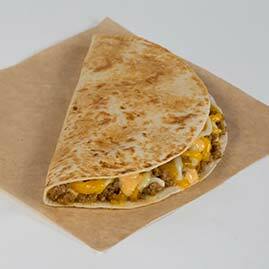 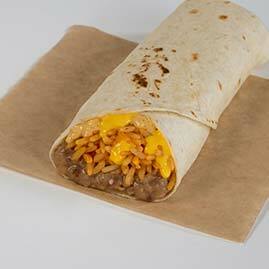 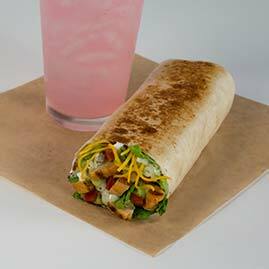 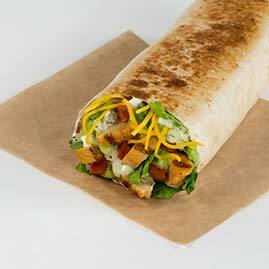 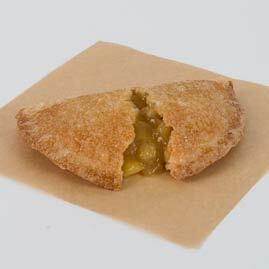 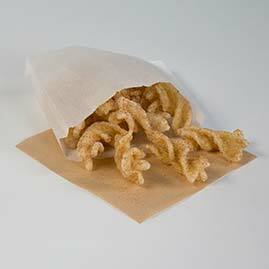 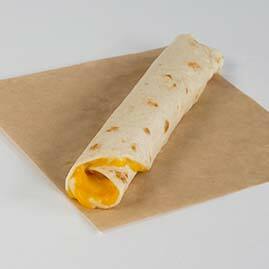 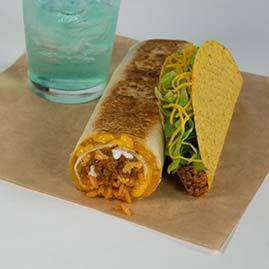 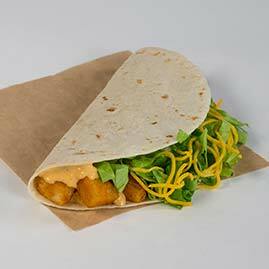 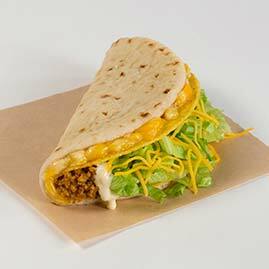 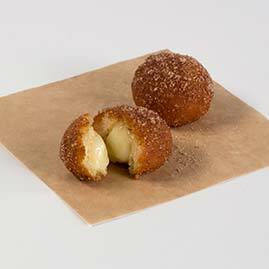 A warm flour tortilla filled with tender shredded chicken, Latin rice, avocado ranch dressing, and real cheddar cheese.